Noted military historian Ted Barris once asked his father, Alex, “What did you do in the war?” What the former US Army medic then told his son forms the thrust of Barris’s latest historic journey—an exploration of his father’s wartime experiences as a medic leading up to the Battle of the Bulge in 1944–45, along with stories of other medics in combat throughout history. Barris’s research reveals that this bloodiest of WWII battles was shouldered largely by military medics. Like his father, Alex, medics in combat evacuated the wounded on foot, scrounged medical supplies where there were seemed to be none, and dodged snipers and booby traps on the most frigid and desolate battlefields of Europe. While retracing his father’s wartime experience, the author weaves into his narrative stories about the life-and-death struggles of military medical personnel during a century of service. 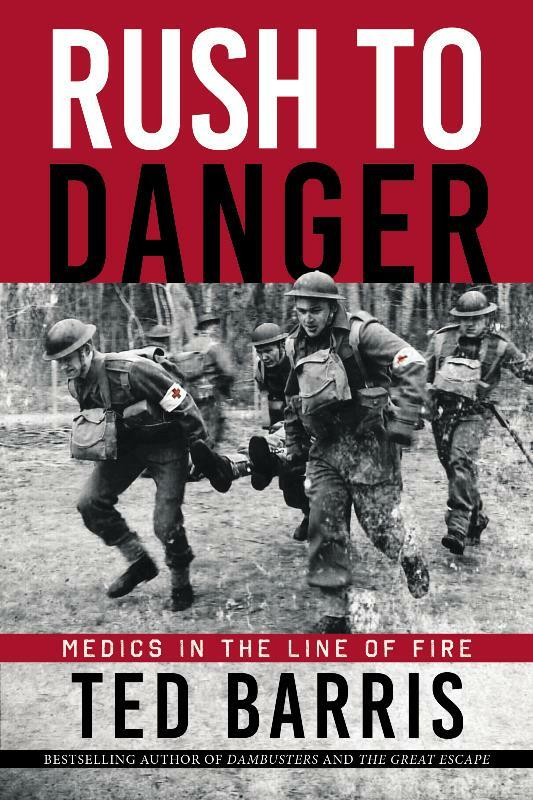 In this unique front-line recounting of the experiences of stretcher bearers, medical corpsmen, nurses, surgeons, orderlies, dentists and ambulance drivers, Barris explores the evolution of battlefield medicine at such historic engagements as Fredericksburg, Batoche, the Ypres Salient, the Somme, Vimy, Singapore, Dieppe, Normandy, Falaise, Bastogne, Korea, Iraq and Afghanistan. Barris’s sources reveal—like never before—why men and women sporting the red cross on their helmets or sleeves didn’t flee to safety but chose instead to rush to assist.